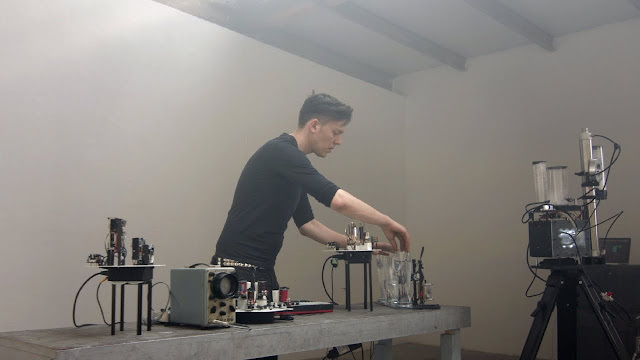 Home Media Moritz Simon Geist news Releases Tech Techno VIDEO Listen to the world's first techno record played entirely by self-made futuristic robots. Listen to the world's first techno record played entirely by self-made futuristic robots. When it comes to doing new things and when we think we have seen everything, we are definitely always wrong. In case you did not know, the Engineer, Media Artist and Robotic Musician, Moritz Simon Geist, publishes his first record "The Material Turn" EP" wich is a 4-track EP to the following full-length album to be released out 16. Nov. 2018. This is the world's first techno record played entirely by self-made futuristic robots. Basically the eccentric artist built and programmed robotic instruments, all sounds on his records are played by robots: small motors that beat on metal, futuristic 3D-printed robo-kalimbas, salvaged parts from old hard drives that click and cut. 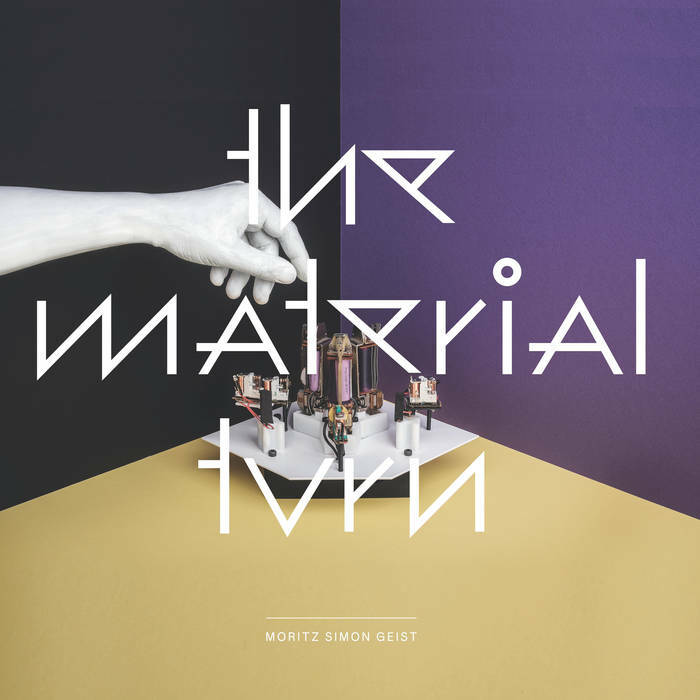 Overview: Moritz Simon Geist, media artist and robotic musician, publishes his first record. It is the world's first techno record played entirely by self-made futuristic robots. This is the 4-track EP to the following full-length album out 16. Nov. 2018. All of the sounds on his records are played by robots: small motors that beat on metal, futuristic 3D-printed robo-kalimbas, salvaged parts from old hard drives that click and cut. It took Geist several years to build, tweak, test and play all his DIY robotic instruments. 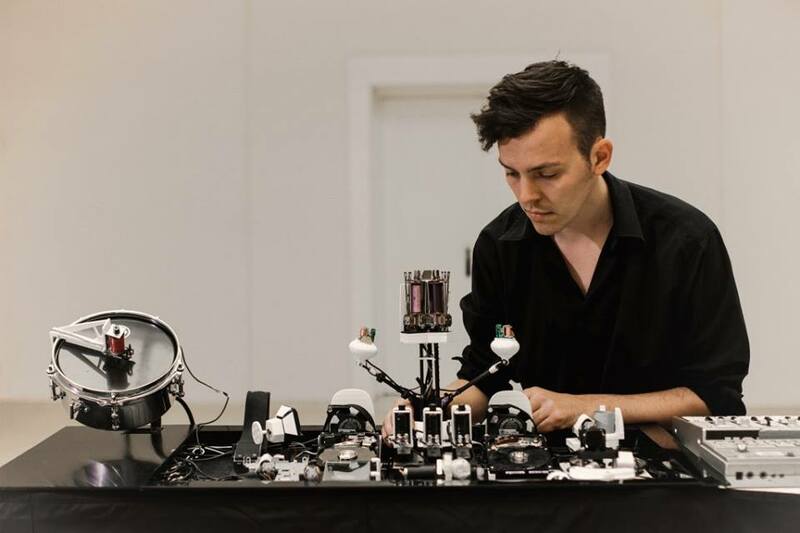 His 'Sonic Robots' try to push the boundaries of the imaginable. He did so already in 2012 with his well-known oversized 808 robot – an iconic drum machine gotten real, 4 by 2 meter, filled with robotic parts which play the instruments live and in front of the audience. Now, Moritz Simon Geist goes even further to discover the unknown and futuristic world of techno robotics. 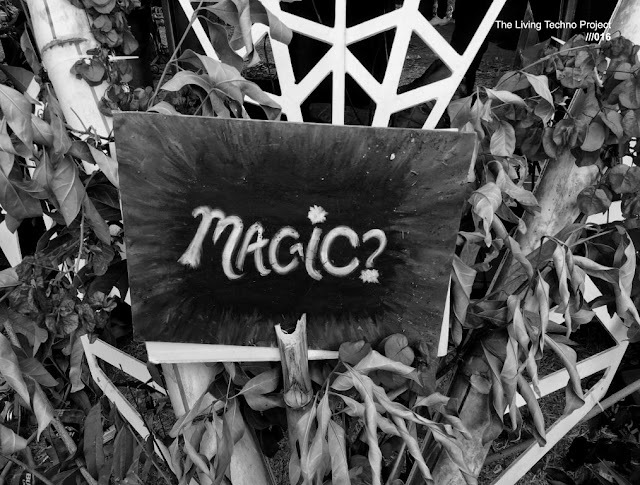 For this quest he teamed up with the berlinian sound wizards from Mouse On Mars and dug deep in the history of mechanical music and experiments of early electronic music. The second track ”Under Deconstruction” is a metal-on-metal slammer with a heavy beat played on a big sheets of metal. “I often try to compose a track around one instrument”, explains Geist, ”letting the sounds take a lot of room so they can stand out.” The B-side starts with “Supercharged” - a heavy drone, reminding of the darked sides of music concrete. Here, tuned air fans, and a metallic percussion robot create the texture. “Detok” closed the EP with an up-tempo club track, featuring complex rhythmic textures and well defined robotic percussion elements. What Moritz Simon Geist came up with is a stunning record of what is possible today – to explore the sound of mechanics that keep on filling our world. Geist creates a smashing soundtrack for both the precise automation and physical fragility that shapes today's society. Info. Includes digital pre-order of The Material Turn. You get 1 track now (streaming via the free Bandcamp app and also available as a high-quality download in MP3, FLAC and more), plus the complete album the moment it’s released. Making Techno with Robots - Behind the Scenes!